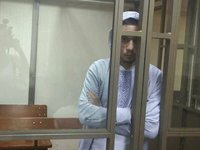 Ukrainian Pavlo Hryb, whom the court in the Russian Federation had sentenced to six years in prison, launched a hunger strike, the Hromadske ezine has reported. As reported, the North Caucasian District Military Court brought in the verdict of guilty to Ukrainian Pavlo Hryb. By decision of the court, Hryb is sentenced to six years in a penal colony. At the March 21 debates, Hryb pronounced his last statement in which, in particular, he said that he did not recognize the accusations of the FSB of the Russian Federation for assistance in terrorist activities. As reported, ex-Ukrainian State Border Guard Service official Ihor Hryb said on August 28, 2017, that Russian special services had abducted his 19-year-old son Pavlo during a visit to Gomel, Belarus, where he went on August 24 to meet a girl whom he had met and talked to only on social-networking sites. It was agreed that Pavlo would return the same day. After he failed to return the next day, Ihor Hryb travelled to Gomel to look for him. He said that in Belarus he had learned that Pavlo was on a Russian list of wanted persons in connection with a terrorist attack, and that a search had been initiated by the Russian Federal Security Service's Directorate for the Krasnodar region in Sochi. On November 7, 2018, the North-Caucasian District Military Court extended the arrest of Hryb to April 24, 2019. Due to deteriorating health, Hryb needs urgent medical care, including surgery.